Please note that the Dome to Dungeon tours mentioned in this article are now booked out. There are no dragons in sight but there are plenty of dungeons sites to explore. In May there are FREE tours of two of Melbourne's most interesting dungeons. 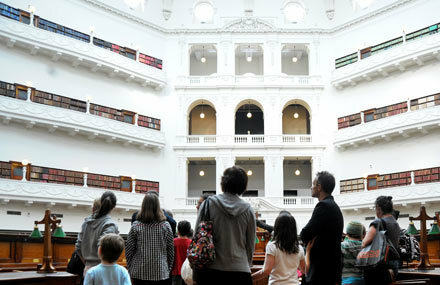 The first is at our State Library and it is called the Dome to Dungeons Tour. I always feel overawed by the size of our State Library with its neck-wrenching domed reading room and other cavernous corners. Yet, what you see there is only the tip of an iceberg of knowledge. There are over two million books in the collection and most of them are hidden from sight. This tour takes you from top to bottom, from the birds eye view of Level 6 of the amazing dome to the basement area not usually open to the public. This fascinating 90 minute tour booked out very quickly last year and some of the tour dates have booked out for 2014. At the time of writing the following dates were still available. 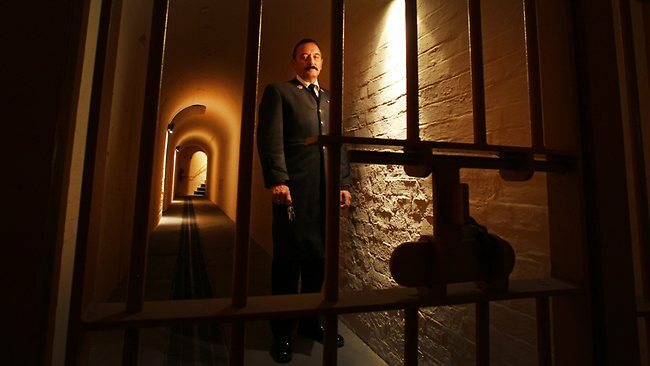 The other dungeon tour is of the cells under the Supreme Court of Victoria. These were actually used to house prisoners until 1954. Here some of the city's most notorious criminals sat contemplating their fates and writing a few obscenities on the cell walls about the judges which I won't repeat here. 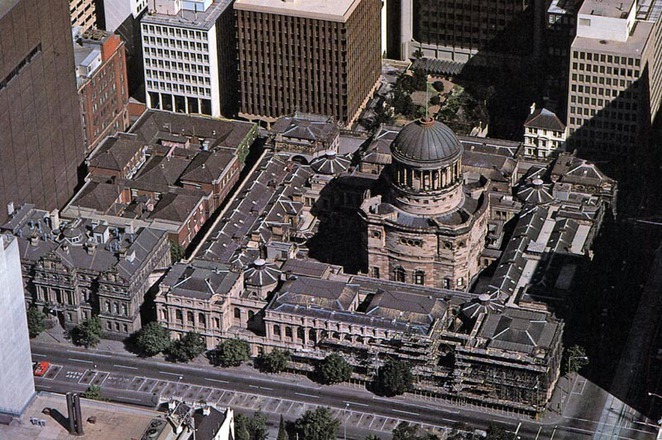 The prisoners would be secreted down from Old Melbourne Gaol, incarcerated below and then take into the dock of Court Four. As you descend the narrow stairs think back to some of those who were there before you. The famous gangster Squizzy Taylor spent time here, as did 'Australia's Jack the Ripper', Frederick Deeming, who killed his wife at their home in Windsor in 1891 and was later found to have also murdered his previous wife and children in England. Frances Knorr was hanged in 1894 after the bodies of two infants were found buried in her house. But in an amazing and now forgotten story hangman William Walker cut his own throat rather than be the hangman that hanged a woman. A long, gas-lit corridor known as "Prisoner's Walk" led from the cells to a narrow, spiral staircase that ended at a trap door in the dock of the court. The trapdoor has been re-installed. 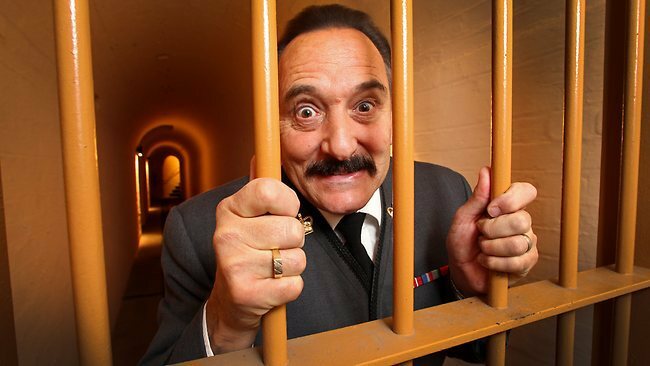 The terms used in court such as "put up the prisoner" and "take down the prisoner" referred to prisoners being brought up from the dungeons through the trapdoor or descending into the bowels of the building after sentencing. Anchor points, which were used for the manacles that chained prisoners to the dungeon walls, were found during restoration. Sounds positively medieval. Supreme Court of Victoria from 10-3pm on Saturday 17 May. Please note that booking for this tour are not open until April 28, 2014. Again it is another interesting tour that is bound to be popular. Booking through Try Booking click here. Why? How often do you get to visit a dungeon? When: From the 19th of May until May the 28th. Where is the Cheapest Blow Dry in Melbourne?